Samsung Galaxy Ace Duos( GT-S6802) is a dynamic Dual SIM Smart phone with 832 MHz Processor and a High- End 5 MP camera.Samsung Galaxy Ace Duos has a brilliant design and awesome look. 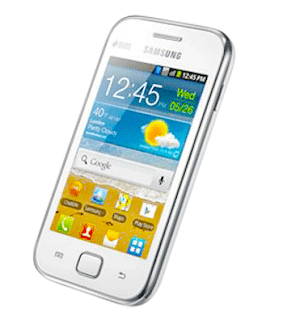 When you compare with other smart phones in the same category, you can easily identify that Samsung Galaxy Ace Duos will be an accurate selection. The device is just launched in India and now available all over the country. Samsung Galaxy Ace Duos has an Android 2.3 platform and a spectacular 8.89 cm TFT Capacitive Touch Screen with 320 X 480(HVGA) Resolution. 264K colour depth and Rich Smart Experience give us an amazing visual capability. Samsung Galaxy Ace Duos handset colour is Chic White and looks like a tremendous communicator.